Self-watering pots are amazing contraptions, especially for home gardeners who spend most of their time outdoors. If you are running a day job, that requires you to be away for most of the day, you simply won’t have enough time to tend to your plants. Self-watering pots, however, can help you with this problem. With a self-watering pot, you can leave the task of watering plants, such as tomatoes, to your pots. These wonders of gardening function through osmosis, involving a reservoir of water, that automatically replenishes the moisture in soil. 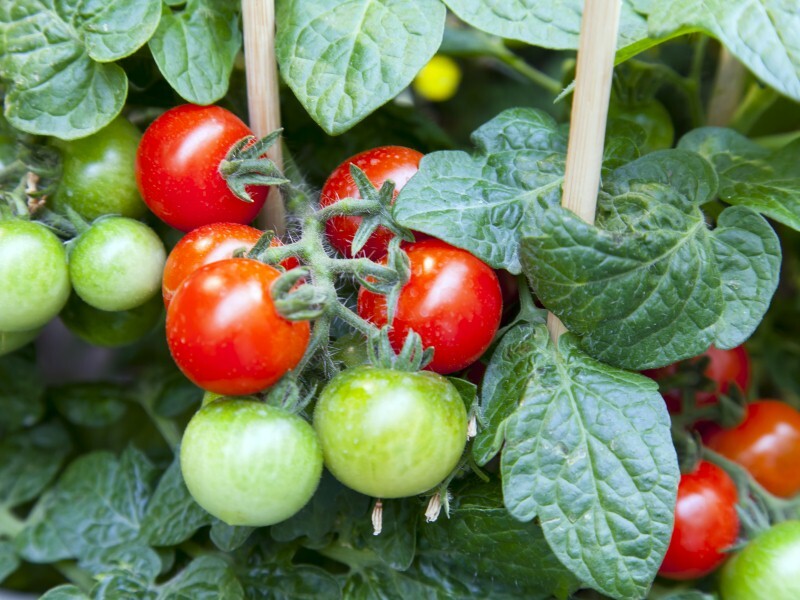 How can you grow the best tomato plants in self-watering pots? Prepare Your Self-Watering Pot: To start growing your tomato plant, ensure that your self-watering container is ready for this purpose. You can either purchase a premade self-watering pot, or make one yourself. To make your own self-watering pot, make a wick out of a used bottle, and cut it to about a quarter of the height of the pot you are using. Using a sharp object, poke holes in the sides of bottom of your wick. Next, make a pipe out of any PVC pipes, hoses, or copper pipes you may have. Next, drill a hole in your pot, right below your wick to prevent flooding. Using window screen or recyclable shopping bags, make a barrier by pressing it into the inner center and sides of your wick. Place the pipe on the side of the wick. Then place rocks all over your wick to keep it and the pipe in place. Once the rocks are at level with the top of the wick, press the barrier all over them to keep the rocks from mixing with soil. Pack your soil tightly inside the wick. Before filling it with soil, place your tomato plant inside your self-watering container. Finish by adding more soil, until the pot is full. Make sure that your tomato plant is buried deep inside your self-watering pot. Water and Feed Your Plant: On a regular basis, give your tomato plant regular doses of water and fertilizer to ensure the best growth. It is important to note that overwatering your pot will flood the soil, which can lead to root rot. While the drain hole on the bottom of your pot can help prevent the accumulation of excess water, it’s best to water your plant in moderation every morning. Furthermore, you can use slow-release fertilizer once a week. Dilute your plant feed in water, to avoid overconcentration. Give it Light! : For it to grow properly, your tomato plant needs lots of sunlight. Place your self-watering container in a place where it can get healthy doses of sunlight every day, like your windowsill. If you live in an area where it rains frequently, you can keep it in partial shade. Keep rain out of your pot to keep away mold. 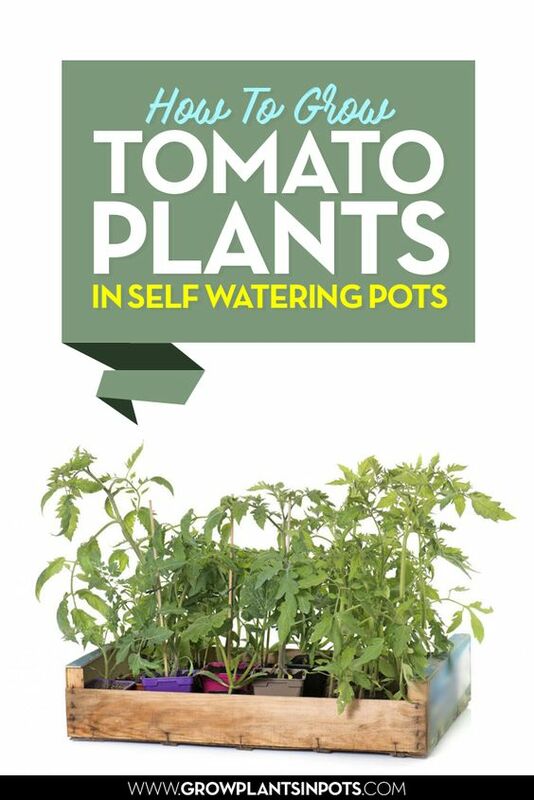 Plant Tomatoes in Self Watering Pots Now! Whether you’re growing tomato plants as a hobby, or as part of a major lifestyle change, doing so with self-watering pots can help you save time and effort. Follow the tips above, for you to ensure a healthy plant, that yields the best fruit. Grow your tomato plants in self-watering containers today!